Ready to enjoy the beautiful beaches of Corolla and play with the waves? 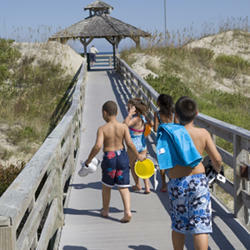 Find public beach access when in Corolla, Outer Banks. One of the best places to access the beach is Currituck County Public Access. This access has public parking and public restrooms.